PTA Reflections is a national program that sparks students’ imagination, curiosity and participation in the arts! Each PTA partners with their school and community to offer activities, events and awards for families to enjoy. Check out these fun ideas on how to bring Reflections to your community—in school and at home. Reflections will empower students to take charge of their own learning and make personal connections across their community. Share these ideas with teachers and school leaders to help increase student engagement and deepen learning. TIP 1: Introduce Reflections at a faculty meeting early in the school year to offer ideas on how the annual theme can align with school and classroom goals. TIP 2: Connect with student leaders and club sponsors who may be able to offer support to interested students before/after school or during school lunch/recess times. Invite the Whole Family to Your Meeting. Dedicate space and provide supplies for students to have fun. Ask student leaders to share their artistic talents and inspire students to use supplies to create their own original works. Provide time at the end of your meeting for students to share their interpretations on the theme. If any works are still in progress, ask students to share their ideas/plans. Don’t forget to send everyone home with an entry form and an invitation to your Reflections celebration! Host a Family Art Night. Welcome families to explore Reflections, together! Invite teachers, teaching artists and community artists to help you lead art-making activities based on the annual theme. Start small by offering one or two activities (e.g. Visual Arts; Literature). Or, go big by offering all six activities (e.g. Dance Choreography; Film Production; Literature; Music Composition; Photography; Visual Arts). Start the evening by announcing the theme and introducing your station leaders. End the evening by announcing your submission deadline, passing out entry forms and collecting any finished works. Set Up a Back-to-School Reflections Table. Make sure everyone knows about Reflections when they come back to school! Inspire participation by showcasing past winning works in highly visible locations. Also, dedicate space for distributing materials and collecting entries. Consider displaying a virtual gallery or hosting student performances to draw greater attention to your Reflections station and assign a student leader or parent volunteer to help answer any questions on how to participate. Share these ideas with parents/guardians to help students find inspiration at home and around their community. Creative sparks can happen anywhere and sometimes all it takes is a little space and time to stretch the imagination and start the arts. TIP: Dedicate a safe place in your home/community where students can feel welcomed to express their thoughts, feelings and emotions. Discover Cultural Heritage through Folk and Traditional Arts. The Folk and Traditional Arts remind us of who we are and what we believe as a family or community. They are deeply rooted in history, tradition and culture, allowing us to explore our heritage, language, religion, occupation and geographic region. Discuss your traditions and have a conversation about the types of music, dance, crafts and/or oral expression your family have created and enjoyed across generations. Lead a Family Arts Club. Whether it’s a structured like a book club or just a discussion around the dinner table, start a conversation about the annual Reflections theme. Yes—that means fun for the adults too! Give your family members an assignment to explore what the theme means to them. Feeling ambitious? Explore an arts category each week leading up to your local entry deadline. Host a Party for Kids. Whether it’s a birthday celebration or a simple get-together, ask your child to invite their peers to join them for an “art party.” Throughout the party, offer activities. Allow kids to share their art with each other and send them home with a treat bag. When the party ends, ask parents to complete their child’s entry form and ensure works are submitted on time. Take a Family Field Trip. Bring the Reflections theme with you on your next family escapade! Consider places that help kids explore their world, including museums, history centers, art galleries, performance venues, libraries, cultural centers and religious institutions. You can also bring the theme with you to sporting events, playgrounds, parks and even the grocery store. Wherever you go, it’s important to help your family make connections among what they’ve learned or experienced and to the theme. For more ideas and to access your free digital kit, visit PTA.org/Reflections! Ethan Clark is the Manager of Education and Arts Initiatives at National PTA. 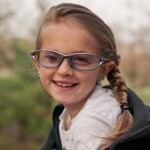 This blog post was originally published on U.S. Department of Education’s Homeroom blog. On the inside of high-schooler Maria Quiles’ right wrist is the neatly crafted tattoo of a treble clef, surrounded by notes. Having epilepsy, she relies on the tattoo, coupled with her musical passion, for courage during seizures. 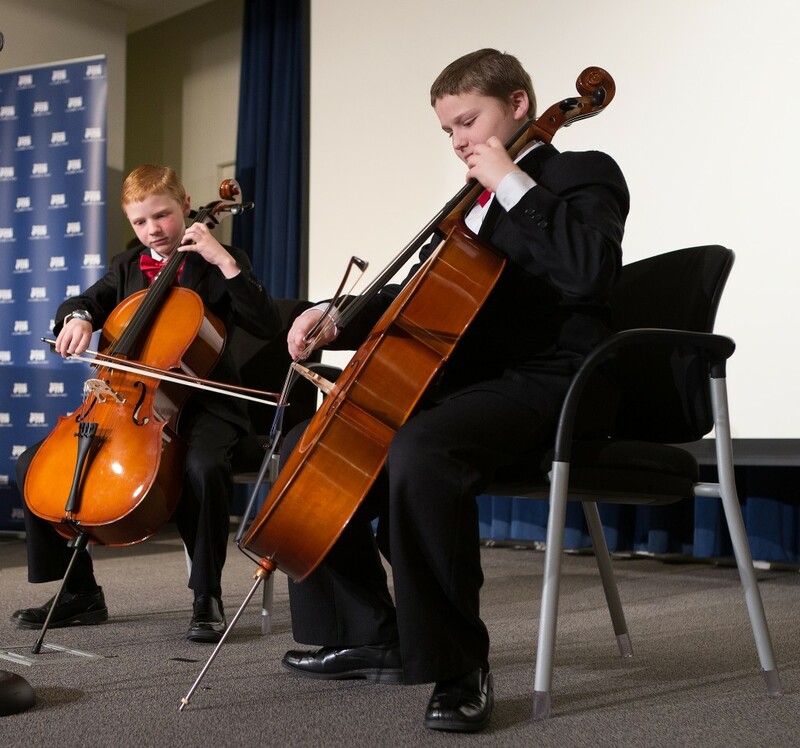 ED hosted the National PTA awards ceremony for the ninth year, which this year drew 35 honorees from 21 states and 200 other attendees — families, teachers and school leaders, National PTA staff, National Endowment for the Arts (NEA) and other arts leaders, and ED staff. 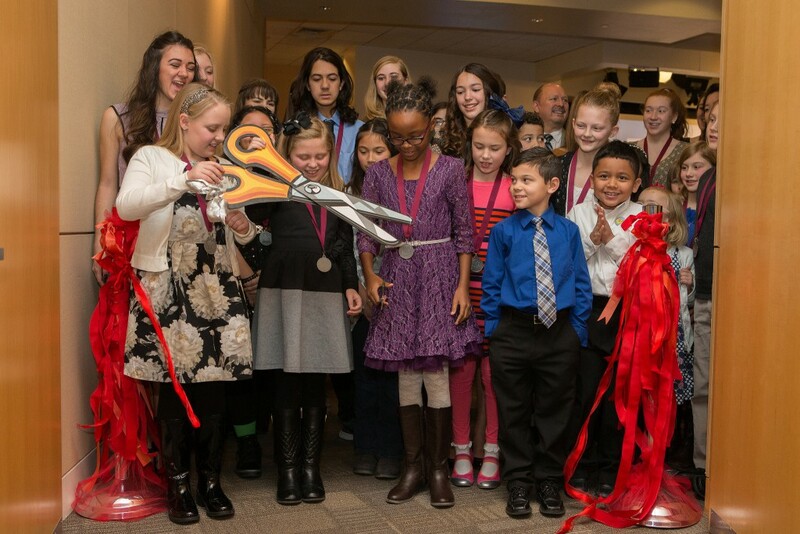 The ceremony ended with a signature ribbon-cutting to officially open the exhibit of Reflections visual arts and literature winners, on display through the end of February. Maria, from Oviedo, Fla., was diagnosed with epilepsy at age 13; she has endured bullying, depression, and thoughts of suicide. The world would be a better place, she believes, if compassion trumped hurtful nicknames. Through the years, Maria has turned her despair into songs of hope. 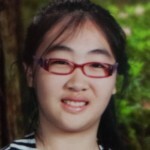 When a seizure is imminent, she and her mother together grasp Maria’s tattooed wrist and sing or hum her winning composition, which concludes, “Everything will be ok. . . . No matter what’s in my way, I’ll just stay, I’ll Just Stay.” Soon the seizure subsides. 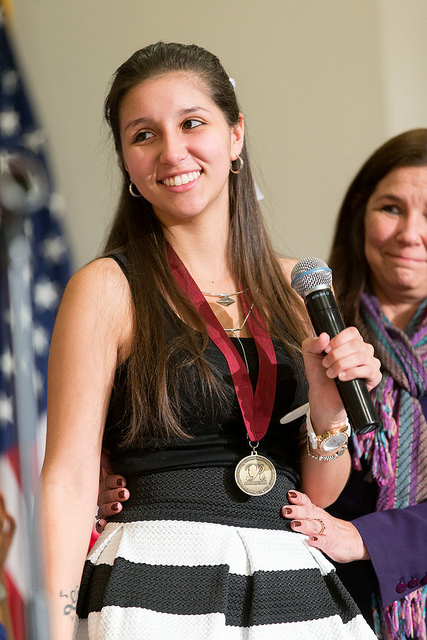 Maria Quiles and her mother at the opening ceremony to honor Maria and 205 other winners of the 2014–15 National PTA Reflections competition. Beyond discovery, educators lauded many other merits of art in education. Jane Chu, NEA chairwoman, cited research indicating that arts-infused schools correlate with improved social skills, higher grades and test scores, better attendance, lower dropout rates, and increased college enrollment. These outcomes are particularly pronounced for low-income students. Laura Bay, the National PTA president, named additional benefits. Artists learn to create, problem-solve, persevere, and communicate. Art can be woven throughout all academic areas, including science, technology, engineering and math (STEM), to clarify, illuminate, stimulate the imagination, and develop innovations. “… [P]eople came together and focused on their similarities, not their differences. The joy of music creates a common bond that brings people together, even people who do not know one another. 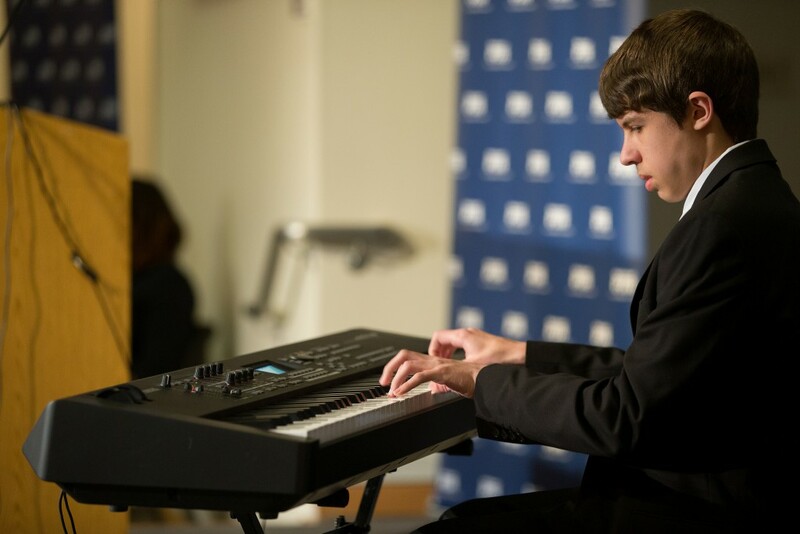 …If more people focused on the joyous parts of life, like music, the world would have less hatred and would be a better place.” — Kyle Gatesman, Thomas Jefferson High School for Science and Technology [Virginia] student, who composed and performed “The Joy of Music” on his keyboard. “… [W]e all set down our cell phones and got to know each other face-to-face.” —Hanna La Londe, Shawnee Mission West [Kansas] High School student, who choreographed and performed the dance “Losing Touch” to the music of Prince Ea. Honorees cut the ribbon at the opening of the Reflections art exhibit featuring some 60 pieces of visual art and a collection of literature. The Department’s Student Art Exhibit Program provides students and teachers an opportunity to display creative work from the classroom in a highly public space that honors their work as an effective path to learning and knowledge for all. To visit the exhibits or for information about exhibiting, contact Jackye Zimmermann at jacquelyn.zimmermann@ed.gov. Creating art is a valuable learning process. Artistic exploration and expression enhance and develop intellectual, social and physical skills. When children express themselves through words, pictures, music, photography and other art forms, they grow intellectually. The National PTA Reflections program helps parents encourage and recognize the continuous self-discovery process of their children. 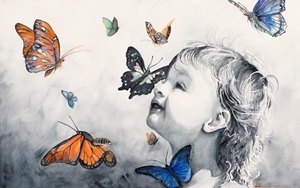 With art, children learn to analyze their thoughts, feelings and ideas; look at objects, people and experiences in a fresh and exciting way; and develop curiosity for the ideas and works of others. Critical Thinking—Students draw upon many skills and explore the creative process while reflecting on the annual Reflections’ theme. 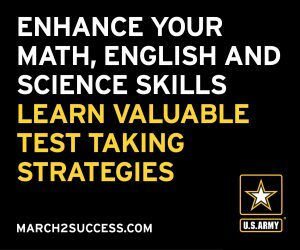 Oftentimes, students solve problems to real-world global issues or identify opportunities and strategies that really work. Communication—Students hone their writing and communication skills by articulating their thoughts and ideas in an artist statement that is shared with their peers and the greater school community. 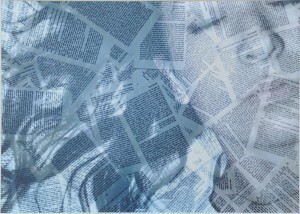 Reflections will give students a voice (using art) to inform, persuade, motivate and inspire others. Collaboration—Families and classrooms have fun discussing the annual theme and exploring new art-making techniques. A student choreographer or film director will cultivate leadership skills while working with their peers, and a Reflections Art Night will offer time and space for the whole family. Student leadership and ownership are key for a successful Reflections submission. Creativity—Students find themselves at the epicenter of their imagination. Reflections artwork is a product of mastering the creative process. Students must brainstorm multiple ideas and even combinations of them by elaborating, refining, analyzing and evaluating. The process allows students to think outside the box and create a tangible, useful work of art that inspires others to be engaged in their own learning. It’s programs like PTA Reflections that allow students to cultivate and curate creative skills that give them an academic advantage. Students who participate in arts programs like Reflections show the greatest relative improvement in academic achievement, especially for those in underserved communities. Arts education has the ability to level the playing field because it provides a safe learning environment where students take risks, explore ideas and express their individuality. 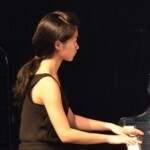 Students also learn to support their peers in a positive way by breaking down communication barriers—probably because the arts are a universal language (ArtsEdSearch.org). 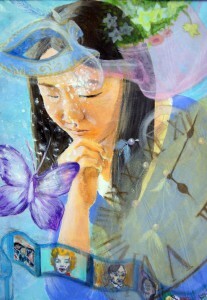 Reflections is designed to enhance arts education. It provides opportunities for students to express themselves and to receive positive recognition for their artistic efforts. Family members, school personnel and the community all play a critical role in fostering a positive learning environment for children. Supporting a Reflections program in your community is one way adults can help maintain that environment. I encourage you to support student learning through the arts so that today’s Reflections artists can find their voice and continue to explore their world in creative ways. Learn more and get started at PTA.org/Reflections. This September 14-18, PTAs and schools nationwide encourage creativity during National Arts in Education Week to raise awareness of the value the arts bring to a high-quality, comprehensive education. The weeklong initiative is designed to celebrate the arts, spotlight the importance of arts education and encourage participation in arts programs and activities like PTA Reflections. The timing of the week honors National Arts in Education Week as designated by the U.S. House of Representatives, but also serves as the official kickoff celebration for the 2015-2016 National PTA Reflections program. Each day of the Sept. 14-18 school week, PTAs across the country and in U.S. schools overseas will celebrate arts education by hosting school-wide arts activities based on the 2015-2016 PTA Reflections program theme, Let Your Imagination Fly. PTA Reflections encourages students to create original artwork that reflects their interpretation on the annual theme and acquire many educational and life-long benefits. You can introduce the theme at school or at home by starting a conversation. Try these questions to help students explore their world as it relates to the theme. What would happen if you let your imagination fly? Where does your imagination take you? How/when do you use your imagination? Why is your imagination important to you? Monday – Dance Choreography: Choose a time during the school day and invite everyone to dance together. Choose a story based on the theme that is read aloud or song based on the theme and have students create movements to phrases that communicate the theme. Tuesday – Film Production: Have students create a storyboard/comic based on their interpretation of the theme. Set up a place where students can rehearse and record their skits. 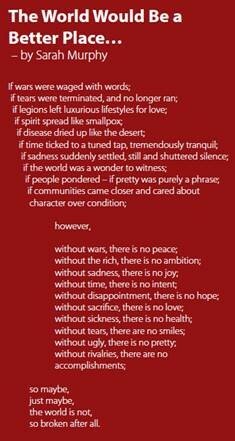 Wednesday – Literature: Students may write a poem/short story related to the theme. Consider inviting a guest author to talk about how they use their imagination. Thursday – Music Composition: Host time and space for students to participate in a music making activity using instruments or found objects. Provide studio time where students explore sounds/instruments and record their compositions. Friday – Photography & Visual Arts: Encourage students to take photos of their peers using their imagination to be more creative in class and at home. Have students post their photos on a designated wall that promotes the Reflections theme. Throughout #ArtsEdWeek, share photos and videos of your #PTAReflections program encouraging creativity in your school. For inspiration, share this video and visit the online art exhibit featuring student interpretations on past years’ themes. After National Arts in Education Week is over, the fun continues! Family and peer encouragement is key to a student’s success in school and in life and this is what PTA Reflections is all about. To get involved, join your PTA and visit PTA.org/Reflections to get started! 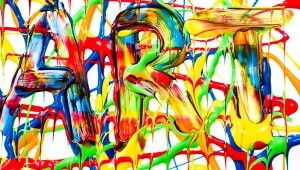 And for more info on National Arts in Education Week, visit PTA.org/ArtsEdWeek. 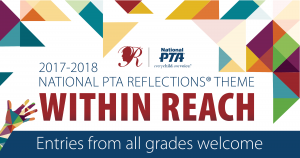 National PTA Reflections submissions are reviewed by experts in the visual, literary and performing arts. Judges look for personal interpretation on the program theme that best exemplify creativity and technical skill. We are proud to share with you this year’s award winning works of art and invite you to join us at future exhibitions. View all of the national award winning dance choreography submissions. View all national award winning film production submissions. View all national award winning literature submissions. Check out all national award winning music composition submissions. Video coming soon! View all national award winning photography submissions. View all national award winning visual arts submissions. Learn more about the Special Artist Division for students with disability. A picture is worth a thousand words! Next time you visit your school, take out your phone and take a picture of something around you that shows evidence of student success. Look at your picture. What elements of the picture lead you to believe that student success is happening in your building? Do you see examples of high quality student work? Do you see evidence that learning standards are met? 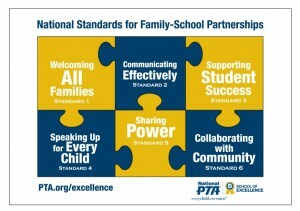 The PTA National Standards for Family School Partnerships were developed to empower PTA leaders, parents, educators, community members and students to work together for the educational success of all children. The third of the six standards is Supporting Student Success. Families and school staff should continuously collaborate to support students’ learning and healthy development both at home and at school, and have regular opportunities to strengthen their knowledge and skills to do so effectively. Explore the new National Arts Standards. Host a Creative Career Fair to match student’s interests in the arts with today’s Science, Technology, Engineering, Arts & Math workforce. Apply for a Mary Lou Anderson Grant to support art projects for the whole school community. The Arts — and the National PTA Reflections® program, in particular — can be a valuable tool for building stronger partnerships in your school community and meeting the Standard for Supporting Student Success. Read more to learn about each of the National Standards for Family-School Partnerships and the steps you can take with PTA Reflections to meet them. Also, consider enrolling in the National PTA School of Excellence program to gain new ways to engage all families in each of the standards. National PTA School of Excellence is a recognition program that supports and celebrates partnerships between PTAs and schools to enrich the educational experience and overall well-being for all students. Contact excellence@pta.org or call (800)307-4782 for more info. Now that we’ve learned about the basic elements of supporting student success, take another look at your picture and write an artist statement to accompany your photo. Share your photo with us on twitter (@ClarkEthan & @PTAswilson)! Third in a series of blog posts co-authored by National PTA’s Senior Manager of Family Engagement Sherri Wilson & Manager of Arts in Education Ethan Clark. If you were to paint a picture representing how you felt the first time you entered your child’s school building, what would it look like? Go ahead, take a minute to draw a picture of the feelings you had when you entered the building. We’re serious, go ahead and grab a crayon or marker from your kids’ excessive crayon collection or a trusty pen from that catch-all kitchen drawer. Consider using colors that represent how you felt as you approached the front door. Include people you interacted with and when you’re done, write one sentence describing what your picture represents. Take a photo and upload it to you favorite social media site like Twitter, Facebook or Instragram and use the hashtag #StartTheArts. The National Standards for Family-School Partnerships provide a framework for strengthening family engagement programs to focus on what parents, schools and communities can do together to support student success. Welcoming All Families into the school community is the first of the six standards. When schools are successful in meeting this standard, families are active participants in the life of the school, and feel welcomed, valued and connected to each other, to school staff, and to what students are learning and doing in class. When families walk into the school building, they should feel it’s a place where they belong. Also, all of the school policies and programs should reflect, respect and value the diversity of the families in the community. The arts — and the National PTA Reflections program, in particular — can be a valuable tool for building stronger partnerships in your school community and meeting the Standard for Welcoming All Families. #StartTheArts with PTA Reflections and bring families together during National Arts in Education Week — the second full week in September. Learn more about PTA Start the Arts Week and use the Reflections Toolkit to get started today. First in a series of blog posts co-authored by National PTA’s Senior Manager of Family Engagement Sherri Wilson & Manager of Arts in Education Ethan Clark. View all national award winning dance choreography submissions. Listen to all national award winning music composition submissions. Join us Tuesday, January 13, 2015 at 11:00am for the annual Reflections Exhibit Opening & Ribbon-Cutting Ceremony at the U.S. Department of Education, adjacent to the National Mall in Washington, DC. 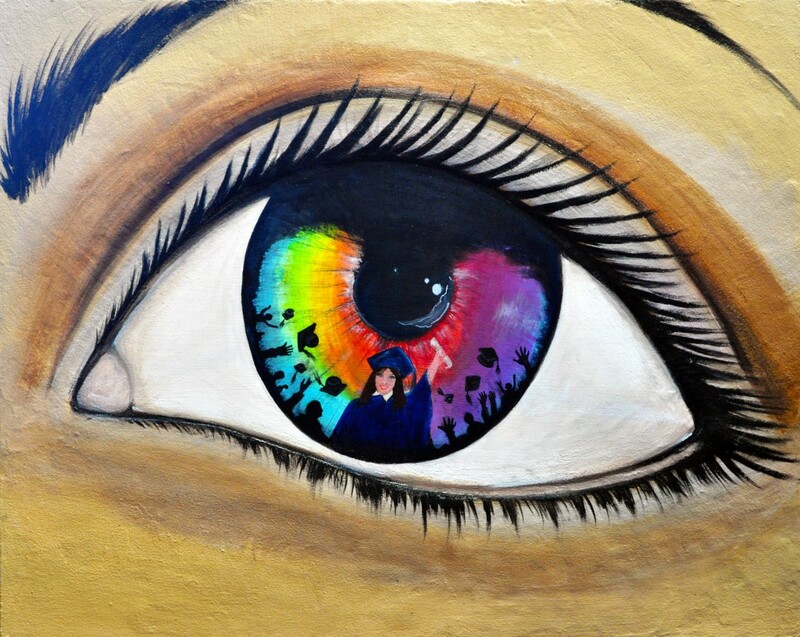 Exhibit will feature national award winning works of art in film production, dance choreography, literature, music composition, photography and visual arts from the 2013-2014 school-year theme: Believe, Dream, Inspire. To RSVP, email reflections@pta.org. The public exhibit is open Monday-Friday, except federal holidays, from 9 a.m. until 5 p.m., January 6 – February 25, and is located in the LBJ Education Building, 400 Maryland Avenue SW, Washington, DC 20202. To schedule a visit, contact Nicole Carinci, Management & Program Analyst at the U.S. Dept. of Education, at nicole.carinci@ed.gov or call (202)453-5585. The Reflections Believe, Dream, Inspire exhibit will also be featured at the National PTA Convention June 26-27 in Charlotte, NC. Save the date! 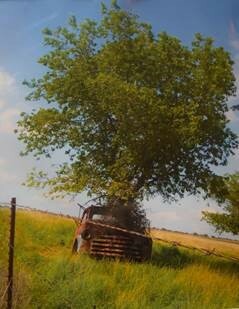 Please email reflections@pta.org for questions regarding Reflections student art exhibits. In May, National PTA’s Every Child in Focus campaign celebrates the arts and culture of Asian American/Pacific Islanders. Educators, families and PTAs are encouraged to deepen family engagement using the PTA National Standards for Family-School Partnerships and provided resources. Explore additional arts and cultural resources for Asian-Pacific American Heritage Month provided by The Library of Congress, National Archives and Records Administration, National Endowment for the Humanities, National Gallery of Art, National Park Service, Smithsonian Institution and United States Holocaust Memorial Museum. To help paint the picture of family engagement, The National PTA Reflections award recipient Jordan Whitmer shares his original film titled “Forever Family” based on the 2013-2014 program theme: Believe, Dream, Inspire. “We are passionate about family. As parents, we pour into our kids every day, knowing that we only have a few short years to invest in their lives before they become adults. We are intentional about experiences that provide our kids with a chance to learn about a big world. 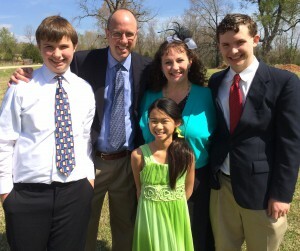 As a family, we enjoy serving others in our local public schools, on a missions trip, or at our local food pantry. We are so grateful for the partnership we have with our local public schools when it comes to the arts. Through band, choir, and PTA Reflections, our kids have had some amazing opportunities to learn and grow as young musicians and production artists. We have found this to be a great way to make a difference in the lives of others!” –Rick and Lisa Whitmer, parents of Jordan, Blake and Jenna Whitmer. Interested in providing PTA Reflections in your school community? Visit PTA.org/Reflections to get started. Email Reflections@pta.org to tell us your Reflections story. Since 1969, the PTA Reflections program has encouraged students across the nation and in American schools overseas to explore their artistic talents. Each year, students in preschool through high school are invited to create and submit works of art in the areas of dance choreography, film production, literature, music composition, photography, and the visual arts. In the 2012-2013 school year, Reflections students shared their artistic interpretations on the theme “The Magic of a Moment.” We received a wide variety of deeply felt and beautifully executed original works of art that express the importance of family, the simplicity of nature and the buoyant feelings of hope, adventure and achievement as seen through the eyes of a child. We are proud to share with you this year’s Outstanding Interpretations in each art category, the top honor Reflections bestows upon our young artists. Demiana Remick: This song has personal meaning to me because my life as a dancer consists of moment after moment of making choices that can create magic or possible havoc. For example, selecting a certain dance prospect can create opportunity or cause injury; and I have experienced both. Dance is “all I live for, the air I breath,” as the song says, “I keep on shuffling on and on” from one moment to the next trying to create the magic and avoid the turmoil. John General: A broken hearted graffiti artist is shocked to find his art work come to life and tell the story behind his broken love life. After hard work and overcoming the obstacles in his way during a failing romance, the artist finds the true magic in a moment when he finds the sensation and happiness in fulfilling his heat’s desire. His swelling heart basks in the magic of the moment when his heart is put back together. Jenny Pham: Losing hope, an orphan embarks on a journey to a new life and meets a woman who teaches him that there is always a silver lining in a thundercloud. The theme, “Magic of a Moment,” is proven through the forever changed lives of the boy and woman because of their selfless actions. This story was inspired by events in my home country, Vietnam, and Howard Kelly’s milk story. I truly hope that this story inspires others to do kind deeds without ever expecting a reward because I know that the best things in life are never given – they are earned. Savannah Du: Sometimes, I get up early in the morning and wait for the sun to rise. Most days, the sky is cloudy grey, the water still and unclear, the sun hidden from view, and I walk home cold and disappointed. But once in a while, the sky is deep maroon, the water hits the shore in ripples, and ducks dance across the surface of the pond. And when the first light of the sun rests upon my face, there are no sounds to describe the warmth of the magical moment of sunrise. 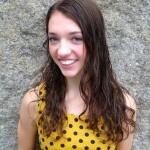 Tatum Long: This past year, I learned to both snow ski and water ski. I was thinking it feels magical the moment you learn how to do something difficult for the very first time. I wanted to show myself snow skiing but I couldn’t figure out how to take a picture of myself while I was ‘actually’ skiing. 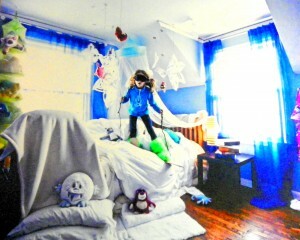 That’s when I decided to create an imaginary world of skiing in my bedroom with things I could find around my house. Alice Abrams: My painting reflects the excitement and wonder that comes with a young imagination. In my painting, the little girl is escaping her dull, “Black & White” world and stepping into a colorful world fueled by her imagination. One of the most magic times of a young child’s life is that moment when they realize that they aren’t condemned to this world and can be and do whatever they can imagine. This little girls is just realizing that the sky is the limit with her dreams. Sarah Khan: It hasn’t been easy for me to make friends and keep them. When I am able to make a connection with someone and they remain a loyal friend, it’s wonderful and as we say here magical. The way I dance is mostly ballet. I like to take what I learn, and embrace the meaning of the music and words. I take what I am feeling inside and show in dance and the lessons I learned in friendship. When I am dancing, the feeling, the steps I take, and the meaning I have inside joined together that is magic for me. When I dance it expresses how I feel and uses the steps that I have learned in Ballet during the year. 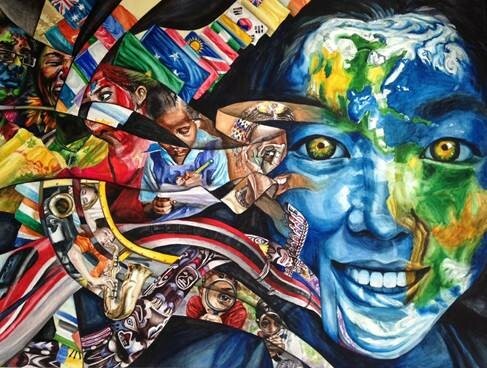 Join us in celebrating arts in education by attending the Reflections Exhibit at the U.S. Department of Education between January 7, 2014- February 27, 2014. The public exhibit is open Monday-Friday, except federal holidays, from 9 a.m. until 5 p.m. and is located in the LBJ Education Building, 400 Maryland Avenue SW, Washington, DC 20202. 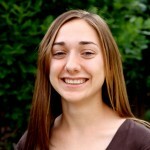 To schedule a visit, contact Nicole Carinci, Management & Program Analyst at the U.S. Dept. of Education, at nicole.carinci@ed.gov or call (202)453-5585. 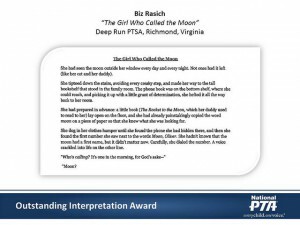 National PTA thanks the thousands of parent volunteers and the U.S. Department of Education’s Student Art Exhibit Program for this opportunity to showcase award winning Reflections. 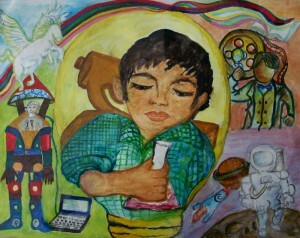 Student artwork will also be featured at the National PTA Convention June 19-22 in Austin, Texas. Save the date! View all Reflections dance choreography film production, photography and visual arts award winners on the National PTA Flickr Album. 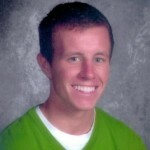 Ethan Clark is the Manager of Arts in Education for National PTA in Alexandria, VA. Contact Ethan at eclark@pta.org.